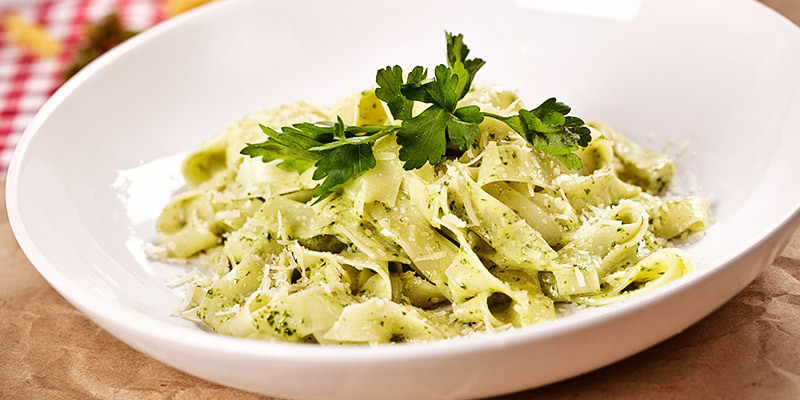 Nature’s Choice shares this delicious Coriander-Pumpkin Seed Pesto with Squash Ribbons and Fettuccine which is 100 percent vegan and gluten-free. This dish is high in protein, very nutritious, flavour packed, affordable and easy to cook for the whole family. Lightly toast the pumpkin seeds in a pan over low heat for five minutes, tossing frequently, until fragrant. Transfer the pumpkin seeds to a bowl to cool off a bit. Use a grater to grate the squash lengthwise, one side at a time (stop once you get to the seeded part, then turn the squash to work on the next side). Bring a large pot of salted water to a boil, and cook fettuccine until al dente. Drain and set aside. In a blender, combine the coriander, jalapeño, garlic, lime juice, fine Himalayan salt and cooled pumpkin seeds. While running the blender, drizzle in the olive oil. 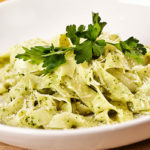 Toss the cooked pasta and gem squash with the pesto and serve.